[See an OLL "Quotations about Liberty and Power" for more details]. The Reformation had taken root in the Netherlands which at that time was ruled by Catholic Spain under the Bourbon monarch Philip II. 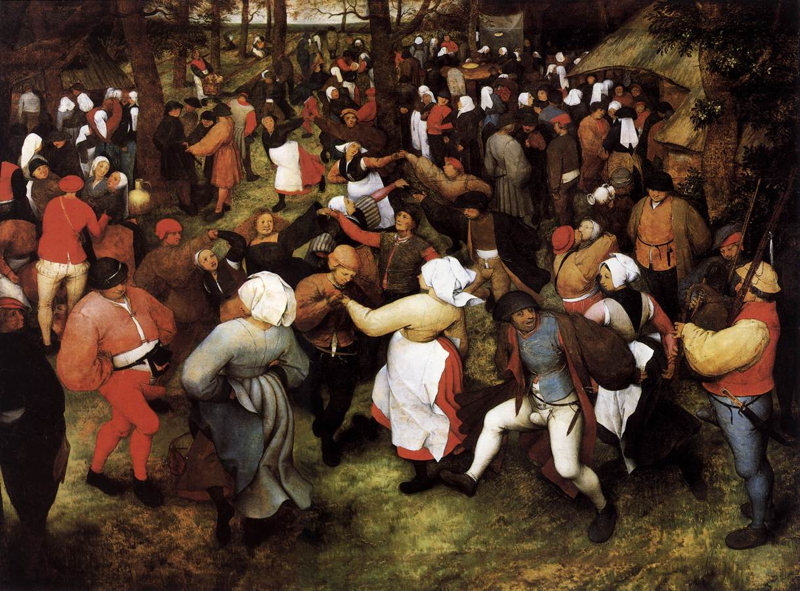 In addition to religious turmoil and persecution, the Flemish people suffered under heavy taxation imposed by Philip II in order to fight wars against the Ottoman Turks for control of the Mediterranean. 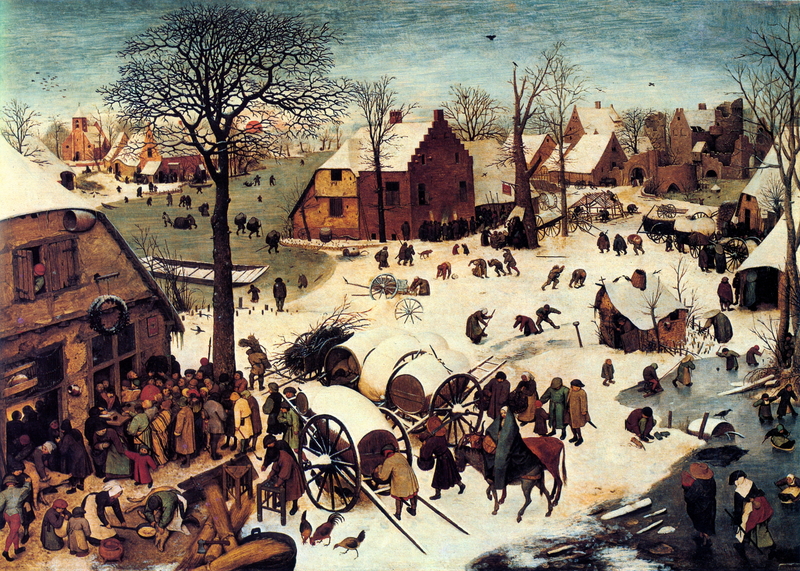 In this context it is not surprising that Brueghel would find the biblical story of Joseph and Mary, forced by the Roman Emperor Caesar Augustus to return to their ancestral city in order to be taxed, rather compelling. 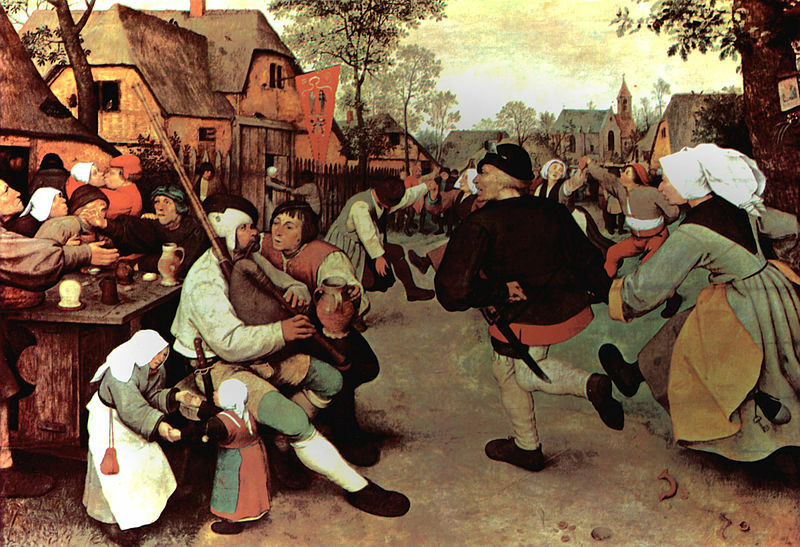 The Dutch Revolt against Spanish imperial control broke out in 1568 shortly after the work was painted. 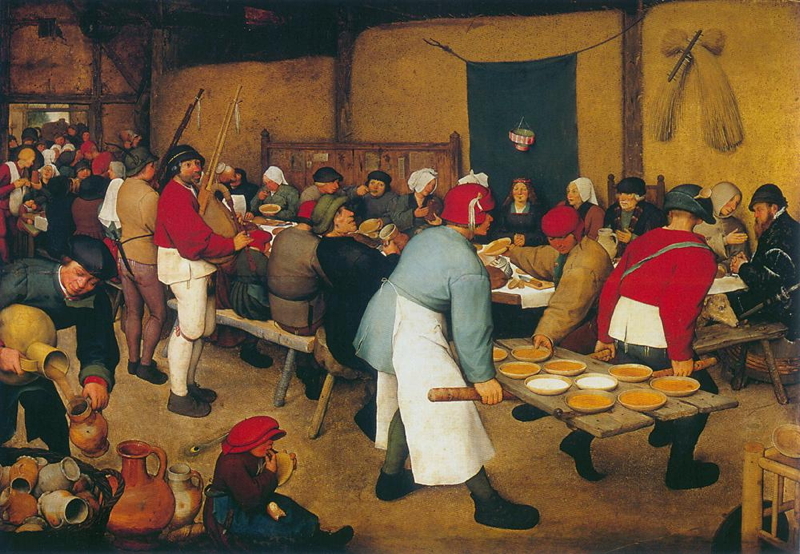 Left foreground: women preparing food in front of the inn. Left foreground: people gathered around a table to get their names ticked off an official ledger by two imperial officials, and then paying their taxes to a man who enters the details into another ledger. 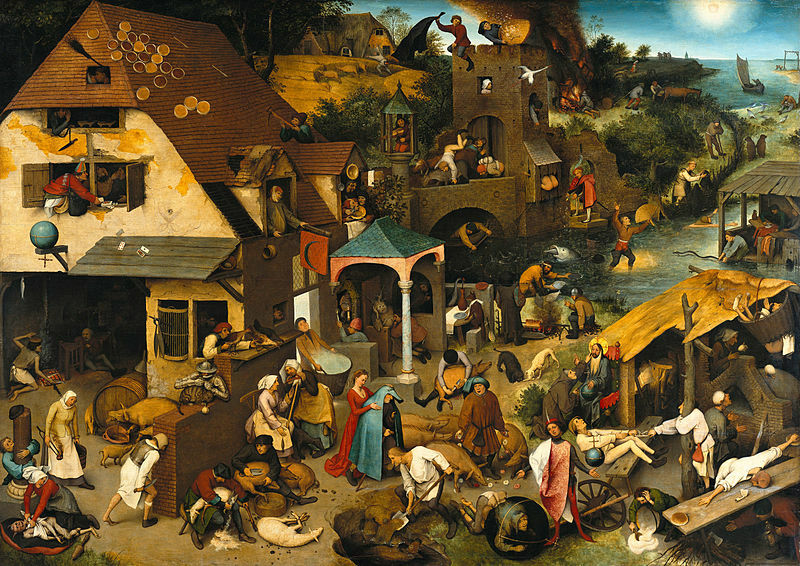 Left foreground: a man is working with faggots of firewood (he is either loading or unloading a cart. 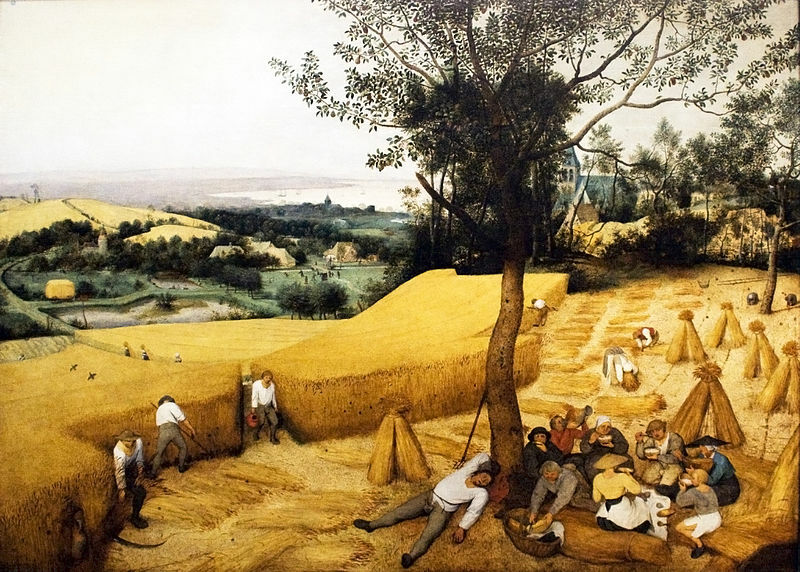 Directly below him at the very front of the picture is an axe and other bundles of firewood which he has been trimming). Center foreground: a man is leading a donkey on which sits a woman who is draped in a blanket (this is meant to be Joseph and Mary from Luke's Gospel account). 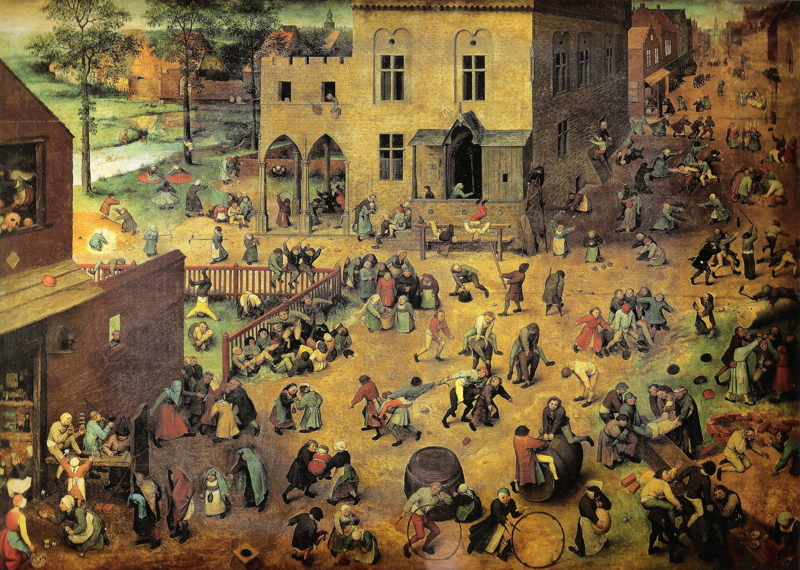 In the central background of the picture is another group of people whose activities are hard to determine. They are gathered in front of the other large building around the square. A woman with a head scarfe seems to be showing something (perhaps papers) to a man. Other people are clustered around what appears to be a source of light (perhaps a fire) or another table. To the right is a group of people who appear to be holding spears. This could be a squad of soldiers who have been sent to keep order in the village as the taxes are collected. Another possiblility is that they have been sent to find more conscripts for the imperial army. This image is in the public domain as is widely available.